The bloom is off seed funding, the business of providing money to brand-new startups, as investors take a more measured approach to financing emerging U.S. technology companies. Seed-stage financing has been sliding for the last two years, with the number of transactions down about 40 percent since the peak in mid-2015, data show. Dollar investments in fledgling companies have also declined, although less dramatically, dropping more than 24 percent over the same period. The slowdown comes despite an explosion of interest by wealthy individuals and foreign investors looking to park money in the next big thing. And it has potentially big implications for Silicon Valley. Early-stage funding is the lifeblood of a technology ecosystem built on risk-taking. Denied critical resources in infancy, companies can't hope to scale quickly enough to unseat incumbent industries and grow into the next Uber Technologies Inc or Airbnb. "The reason why startups are disrupting companies in the 21st Century is not because they are smarter. It's because they have capital to do so," said Steve Blank, a serial entrepreneur, startup mentor and adjunct professor at Stanford University. Early-stage investors, known in Silicon Valley vernacular as seed and angel investors, often act as farm teams do in sports. They provide the first significant money and mentoring to help entrepreneurs prove their technology and hit milestones needed to attract even bigger investments from venture capitalists later on. But the zeal that prevailed just two years ago has faded. Seed and angel investors completed about 900 deals in the second quarter, down from roughly 1,100 deals in the second quarter of 2016 and close to 1,500 deals during that time period in 2015, according to a report released last month by Seattle-based PitchBook Inc, which supplies venture capital data. The dollar amount provided by seed and angel investors was $1.65 billion in the second quarter. That's just shy of the $1.75 billion for the same time period of 2016 and down significantly from 2015, which saw $2.19 billion invested into fledgling startups. Veteran seed investors and industry analysts offer a number of reasons for the decline. They cite concerns over inflated valuations as well as a tepid market for initial public offerings, which provide seed funders a way to recoup their investments. After some much-hyped IPOs such as GoPro Inc, LendingClub Corp and Fitbit Inc lost their sizzle, Wall Street has curbed its appetite for shares in unproven private companies with billion-dollar-plus valuations. Others blame the rise of technology leviathans for the decline in seed funding deals. San Francisco seed fund Initialized Capital, for example, has slowed its investment pace to about 20 companies a year, down from 50 to 60 just a few years ago, even though its fund size more than tripled to $125 million, according to managing partner Garry Tan. Among his concerns: dominant players such as Facebook Inc have amassed so much wealth they can quickly challenge a hot startup, diminishing its value. "Incumbents just get so much more power, so there are fewer super early-stage opportunities that are very valuable," Tan said. "I can imagine a 20 to 25 percent reduction in valuable investment opportunities." Funding cycles in Silicon Valley ebb and flow. Several veterans say the decline in seed deals is bound to reverse at some point. Still, some early-stage investors say they're observing a rethinking of the traditional "spray and pray" approach to seed funding. Instead of putting small amounts of money into lots of startups in the hopes that a few will work out, seed investors are shifting to fewer, larger deals. The median seed deal is now $1.6 million, according to Pitchbook, up from about $500,000 five years ago. That's more in line with what big venture firms used to invest. And while data show that about 70 percent of seed-funded companies never make it to the next level, there is no shortage of interest from investors. About 450 seed funds have emerged in the past few years, according to fund managers, financed by investors as diverse as wealthy individuals, universities, sovereign wealth funds and Chinese family offices and corporations. The experience of early-stage venture firm Floodgate is typical. Investment partner Iris Choi said the firm's average investment size has about tripled in the last four years, from $1 million on the high end to $3 million. But along with big bucks come big expectations. Funders betting seven figures want to see a much more mature business than in years past. The upshot is that some entrepreneurs are finding it harder to get a backer in the very early going, says Allan May, chairman and founder of angel investing group Life Science Angels, based in Sunnyvale, California. "The bar is now higher to get early-stage financing," May said. "You've got to be further along." In return for writing bigger checks - and assuming bigger risks - seed investors are also demanding larger ownership stakes in new companies. 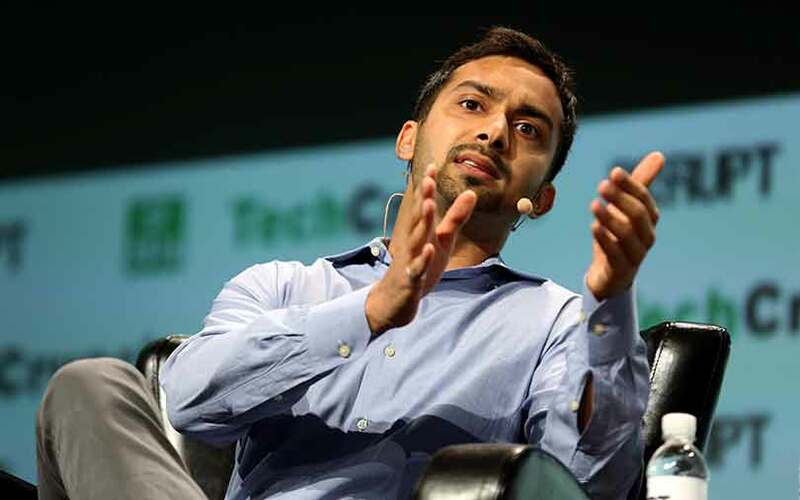 Initialized Capital, whose investments include San Francisco-based grocery delivery service Instacart, seeks about a 15 percent stake in startups in exchange for its investments, said Tan, the managing partner. That's enormous considering other seed funders shoot for stakes closer to the 5 percent to 15 percent range. But more shares gives seed investors more leverage in future funding rounds when additional investors come on board. Seed funders risk seeing their stakes diluted significantly if they don't take a large ownership from the start, or participate in future funding rounds so they don't get squeezed by other venture capitalists. To be sure, entrepreneurs still have ample opportunity to build the next big company. Launching a startup is cheaper than it has ever been, thanks to tools such as cloud computing that allow small fry to forgo the cost of building a data center. Startup incubator programs have helped too. Still, quick deals could be harder to come by as seed funds with lackluster performances struggle to raise new funds. "A lot of these funds didn't perform," said Samir Kaji, senior managing director at First Republic Bank. "They are still around but they aren't writing new checks." In the last year or so, at least nine seed firms have gone out of business, according to PitchBook. Veteran Chris Douvos, managing director with Venture Investment Associates, has put more than $250 million into seed funds over the last decade. He estimates that the hundreds of small seed funds that exist currently will dwindle to 40 to 80 in the next year or two. "All of venture capital's train wrecks happen in slow motion," Douvos said. "The mass of these funds is on the bubble, and what will determine who lives and who dies is to some degree luck."